Every model has its own specific set of parts that fit it. 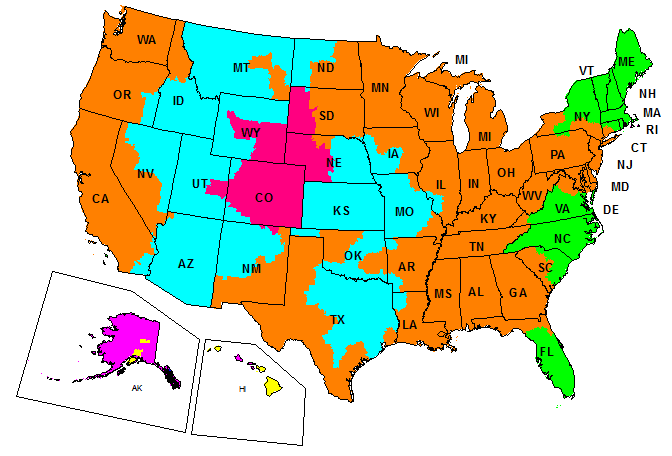 Click your manufacturer below for instructions on locating your model or serial number. The model number tag is located on the top outside edge of the CLAMP BRACKET; or, on top of the SWIVEL BRACKET (port or starboard). 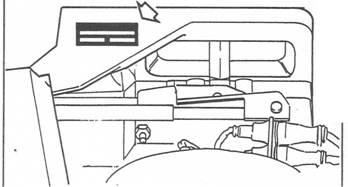 The model and serial numbers of the vertical drive should be located on the engine model and serial number plate. If the vertical drive model and serial numbers are not recorded with the engine model and serial number, they can be found on a plate located on the vertical drive. The transom mount model and serial number plate is located on the inner transom plate. The serial number tag is located on the SWIVEL BRACKET (port or starboard); or, check the INSTRUCTION PLATE, located between the thumb screws above the steering tube. The serial number tag is located on the top outside edge of the CLAMP BRACKET; or, on top of the SWIVEL BRACKET (port or starboard). 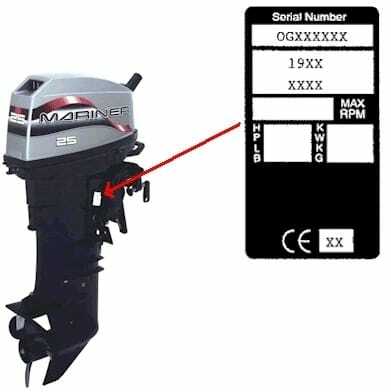 The serial number tag is located near the STARTER, by the flywheel housing; or, on the ROCKER ARM or FLAME ARRESTOR COVER.Transom plates: The serial number tag is located on the INNER TRANSOM PLATE inside the boat; or, on the UPPER SWIVEL PIN. 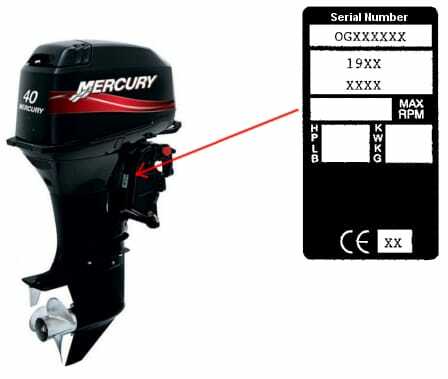 The serial number tag is located on the UPPER DRIVE SHAFT HOUSING (starboard side or on the back of the housing). Missing Your Model Or Serial Number? You can still browse our parts catalogs by year, make and model below. Johnson/Evinrude and OMC from 1968 to 2014. Outboard, stern drive, sea drive, sail drive, accessories and more. Mercury Marine from 1965 to 2014. Mercury, Mercuriser, Mariner, Force, Jet, accessories and more. Yamaha Marine from 1984 to 2014. Outboard, stern drive, jet drive, multi purpose engine, outdoor equipment and accessories. Add your part numbers to your shopping cart in bulk. Simply copy and paste your SKUs.